More than 400 undergraduates and graduate students entered posters into the competition for the Chambliss Astronomy Achievement Student Awards. 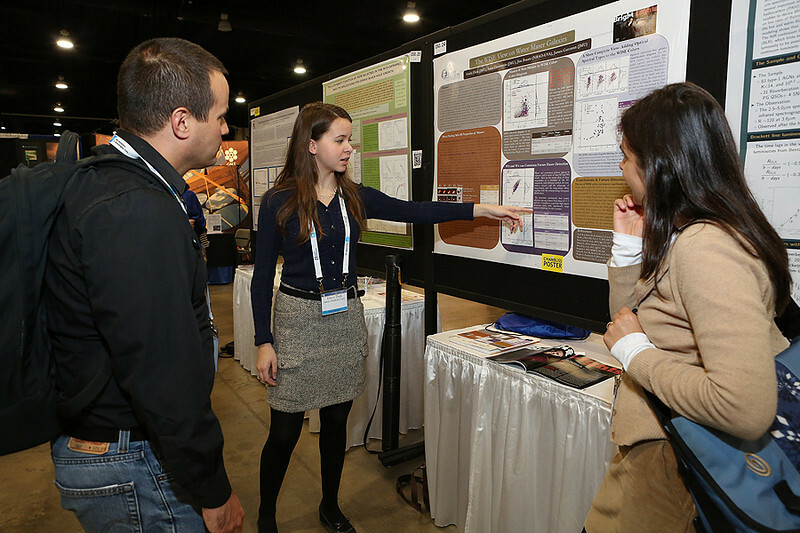 Scores of volunteer judges fanned out across the exhibit hall each day reviewing posters. A dozen students won Chambliss medals, while another 19 received certificates of honorable mention. AAS photo © 2014 Joson Images.